Part of the new Shagreen range by Robert Langford, the Largo Side Table is expertly crafted and produced locally in the UK. 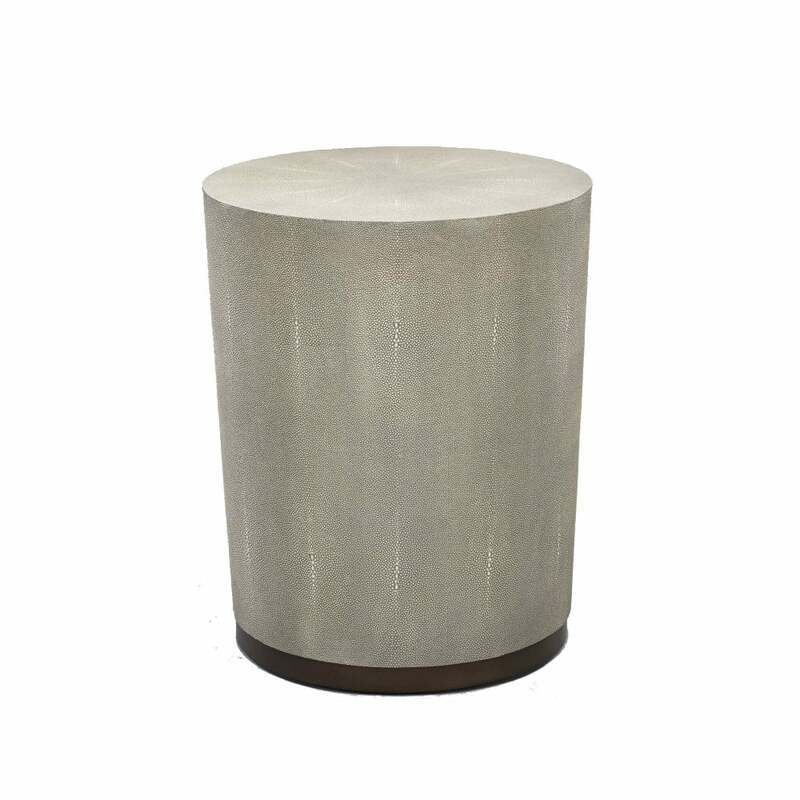 Available in a chalk faux Shagreen with a glamorous bronze base or in a moody dove finish. Add texture to a living space, the elegant, cylindrical form features a tough granulated surface and unique pattern detail. Choose a classic look with the chalk finish and style with dark wood and sumptous fabrics. Alternatively create a contemporary scheme with dove grey in a minimalistic modern space and flashes of metallic and blush pink.